You might replace your refrigerator water filters, but what about your refrigerator air filters? 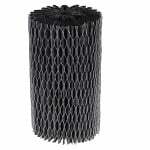 Refrigerator air filters use carbon to reduce odors from your refrigerator or freezers. Did you leave that raw salmon in your fridge just a little too long? Is that bowl of chopped onion or garlic working its way into your other foods? Are you about to cry over the smell of stale milk? 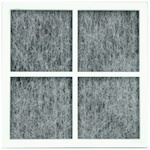 Fridge air filters can eliminate these and other odors by capturing them in the carbon filter media. Make it a point to change your refrigerator air filter when you change your refrigerator water filters. 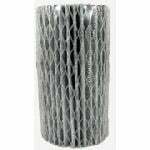 We carry Electrolux refrigerator air filters, Whirlpool refrigerator air filters, Amana refrigerator air filters, Frigidaire refrigerator air filters and more. 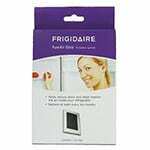 Keep your fridge smelling fresh with the Filters Fast FFRAF-002 compatible refrigerator air filter that is a money-saving alternative to the Whirlpool W10311524 . 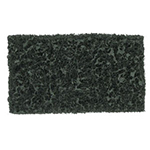 The carbon filter media helps reduce common food odors. 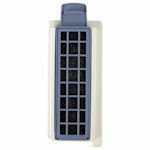 The Sears Kenmore 83190 HEPA Air Filter Replacement is an economical compatible filter that reduces 99.97% of airborne pollutants as small as 0.3 microns. 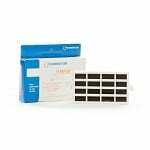 The Electrolux EAF1CB Pure Advantage Air Filter is the correct replacement for the Kenmore 9917 R.
The EcoAqua Refrigerator Filter EFF-6018A is a replacement refrigerator filter that is compatible with Frigidaire and Electrolux. 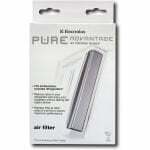 This filter is designed to replace Electrolux EWF01 filter. GE FGFSFR02 Filters are used in GE Arctica Refrigerators to keep vegetables and fruit fresher longer by absorbing some of the gases created. 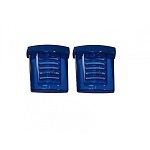 The Fresh Saver Filters come in a 2 pack. The EcoAqua Sub-Zero Refrigerator Water Filter EWF-8003A is a replacement refrigerator filter for Sub-Zero filter model 4204490. 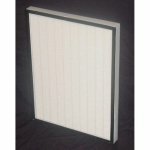 This filter is designed to replace the 3M Easy Complete and Insinkerator F-2000. 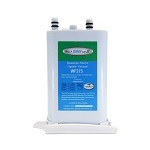 The EcoAqua Refrigerator Filter EFF-6006A is a replacement refrigerator filter that replaces the Samsung Aqua Pure Plus Water Filter, model DA29-00012A and DA29-00012B.